UPSC (Union public service commission) issued the final list of selected candidates in Indian Forest Service Exam 2013 followed by the Interview. The IFS 2013 written examination was held in October 2013 and then qualified candidates appeared in the personality test/Interview in December 2013. 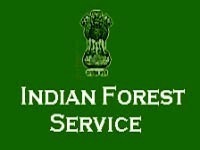 This is the list of candidates who are recommended for the final appointment in Indian Forest Service. There are total 85 students are selected including all reserved categories. The final appointment will be given to each candidates according to the current vacancies and other criteria to be fulfilled. Candidates can obtain any information / clarification on the working days between 1000 hrs. to 1700 hrs. in person or over telephone Nos.23385271 /23381125/23098543. The Result will also be available on the UPSC web site, i.e. www.upsc.gov.in. This is an awesome post. I really like this post. Thanks for sharing this.